The science of the black-and-blue dress, one year later. 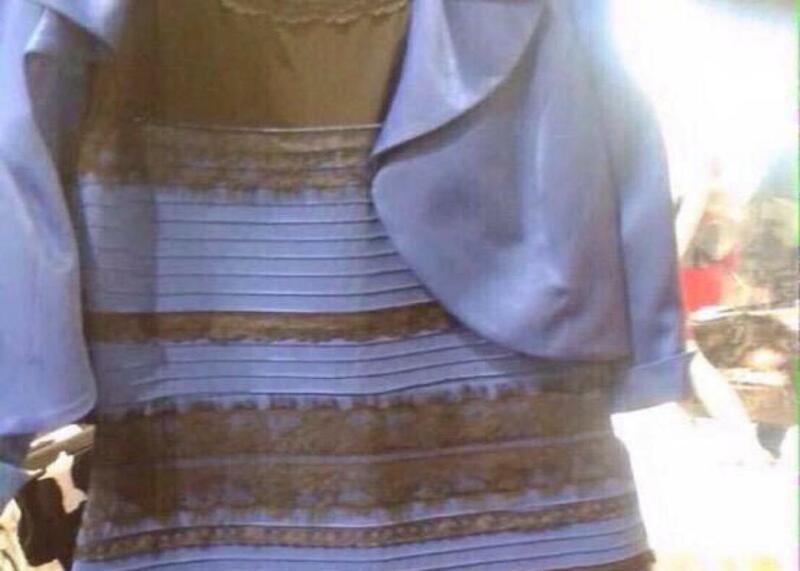 What have we learned from a year’s worth of research on “the dress”? On a cold winter afternoon in February 2015, Cecilia Bleasdale took a picture of a dress that she meant to wear to her daughter’s wedding. A couple of weeks later, one of her daughter’s friends shared that cellphone snapshot on Tumblr, where it quickly went viral. Some people saw the dress in the image as being white and gold whereas others saw it as black and blue, leading to vehement disagreements among friends, family members, even monozygotic twins. These perceptual disputes were enough to spawn millions of tweets and garner major media attention. Despite a backlash calling it a silly meme, the dress phenomenon conveyed a deeper message: We all might share the same physical reality, but the same cannot be said for how we see it. Each of us inhabits an idiosyncratic subjective reality that is created by our brain. When trying to solve problems related to an increasingly divided society, it helps to appreciate that our neighbors might perceive things differently. I work as a professor in the department of psychology at New York University, and as such I’m interested in the scientific meaning of the dress as well as its social implications. I’m not the only one: Since arriving last year, the meme has inspired a flurry of experiments, and later this year, the peer-reviewed Journal of Vision will publish a special issue devoted to the dress. This was the first time that a colored image had yielded radically distinct interpretations, and the very fact that such a thing is possible raised an important research question: What determines which colors a given person saw? We had a theoretical understanding, of course. Most color vision scientists agree that, on a basic level, people use color information to distinguish objects (e.g., to pick out bright-red berries from a background of green foliage). But the color information that reaches our brains must be processed and interpreted. Light reaches the eye in a mix of wavelengths bouncing off the objects in the world. That mix depends on two things: the color of the object and the color of the light source. That’s why the same sweater, let’s say, might appear to take on different colors when viewed under an artificial light (which usually contains more yellowish, long-wavelength components)—as opposed to natural daylight (which contains a more equal mix). To achieve what color vision scientists call “color constancy,” the brain calculates color-corrections for an image on the fly. It takes note of the illuminating light and tries to figure out how it might be affecting the color of an object. How would this explain why different people saw the picture of the dress in different ways? The picture itself was overexposed, washing out the colors of the dress, while the illumination was ill-defined. Parts of the image seemed to imply backlighting (which would leave the dress in a blueish shadow) whereas others implied yellowish, overhead store lighting. Depending how the viewer interpreted this setup, the apparent colors could shift dramatically, from black and blue (the real-life colors) to white and gold. If you assumed that the dress was in a shadow, your brain would subtract out some blue from your internal image of the dress, to account for a shadow’s blueish tint. That would make the fabric seem more white and yellow. Still, it wasn’t clear why some people would take the dress to be in shadows, while others would see it as being lit from overhead. Was that a random choice, or did it demonstrate something more fundamental about the viewer—their genetics, habits ,or life experience? According to one possible explanation, the difference in perception has something to do with people’s daily schedules. For instance, some of us tend to rise at dawn and go to bed at dusk whereas others stay up late and then sleep in. Over a lifetime of such behavior, the early risers, or “larks,” will be exposed to a lot more short-wavelength (blueish) natural daylight than the late-waking “owls,” who will end up seeing more artificial, long-wavelength (yellowish) light. If that’s true, then the larks should be more likely to interpret an ambiguous image as being lit by the short-wavelength light they’re used to seeing and thus more likely to see the dress as white and gold. Owls should have a tendency to assume long-wavelength, artificial lighting, and would thus see the dress as black and blue. That’s exactly what I found, in a study run on this website last year. I asked Slate readers a number of questions about their lifestyle choices, habits, and the circumstances under which they first saw the image of the dress. Among a group of roughly 8,000 people, I found that 28 percent saw the dress as black and blue and 61 percent saw it as white and gold. I also found that people who identified as being “strong larks” were the most likely to see the dress as being white and gold; people who identified themselves as being “strong owls” were less likely to do so. Given the inherent noisiness of collecting data online due to extreme variations in viewing conditions, I was quite surprised by the consistency and strength of the effect. Also somewhat to my surprise, I found no effect of time of day when viewing the image, no effect of whether people grew up—or are living now—in an urban versus rural setting. A separate study, conducted by the personal genomics company 23andMe, showed that a person’s genetics doesn’t seem to affect perception of the dress, either. Another early study showed that the dress phenomenon was not merely an artifact of language, or how people choose to classify colors using words. Other things do seem to matter, but it is unclear why. For instance, I found that women are ever so slightly more inclined to see the dress as white and gold. Screen size mattered too: The bigger the screen on which you saw the image, the more likely you are to have seen it as white and gold. Researchers in Hyderabad, India, even suggested that a person’s pupil size could make a difference: A smaller diameter might increase your chances of seeing white and gold. These are all interesting studies, but one can make only so much scientific progress on the basis of a single image. It would be nice if researchers could create dress-type illusions at will, to increase the range of stimuli for laboratory tests. It would also increase our confidence that we truly understand what underlies this phenomenon. Yet, to date, our attempts to do so have failed. The fact that dresslike images can’t be generated at will suggests that we don’t fully understand what drives this ambiguity. Perhaps there are other factors at play, such as assumptions viewers make about fabric and how different materials might look under different types of lighting. That said, the Internet has provided a few more—albeit less popular—examples of the dress effect. The latest of these, posted on the one-year anniversary of the dress phenomenon, shows an Adidas jacket against a white background. “The jacket” divides viewers anew, this time on the question of whether it is white and blue, or brown and black, or another pair of colors entirely. The advantage of having a second, analogous color stimulus like that is we can now test whether there’s any consistency between the way people make sense of these images. 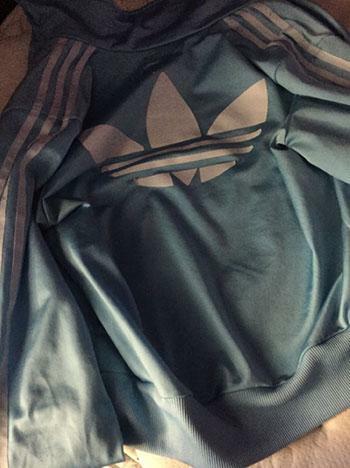 Might people who saw the dress as blue and black be more likely to see the jacket as white and blue? Do certain personality factors, such as lark-versus-owl type, underlie responses to both? Let’s find out. I’d like to run a second experiment with the help of Slate readers. It’s another survey, this time asking for your observations about both the dress and the jacket. Are you willing to help us out for #citizenscience?